Popular, versatile and with a classic dining, comfortable, and hearty vibe; the Capri Outdoor Extension Table Set is one of our favourite groupings. This chunky extension dining set is made up of two Wave Arm Chairs and 4 Wave Side Chairs; a majestic looking chair that has brilliant lumbar support with the ‘wave’ detail in the back.The Capri Rectangular Double Extension Table is a solid, classic table begins an intimate 165cm long extending first to 195cm then to 225cm, providing a wonderfully abundant table for hosting up to 8 people. This is why it remains a favourite! It is rare that you will find such a solid piece with incredible flexibility, and is comfortable while still being incredibly attractive! Popular, versatile and with a classic dining, comfortable, and hearty vibe; the Capri Outdoor Extension Table Set is one of our favourite groupings. 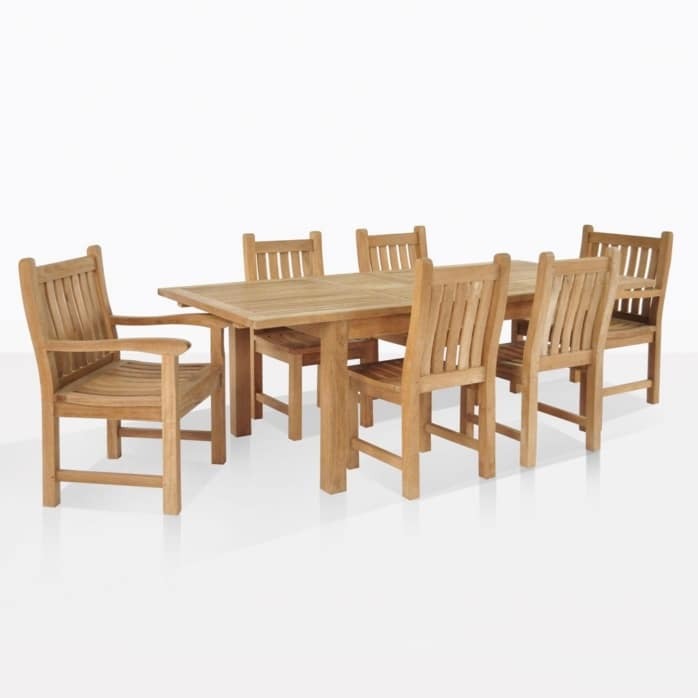 This chunky extension dining set is made up of two Wave Arm Chairs and 4 Wave Side Chairs; a majestic looking chair that has brilliant lumbar support with the ‘wave’ detail in the back.The Capri Rectangular Double Extension Table is a solid, classic table begins an intimate 165cm long extending first to 195cm then to 225cm, providing a wonderfully abundant table for hosting up to 8 people. This is why it remains a favourite! It is rare that you will find such a solid piece with incredible flexibility, and is comfortable while still being incredibly attractive! 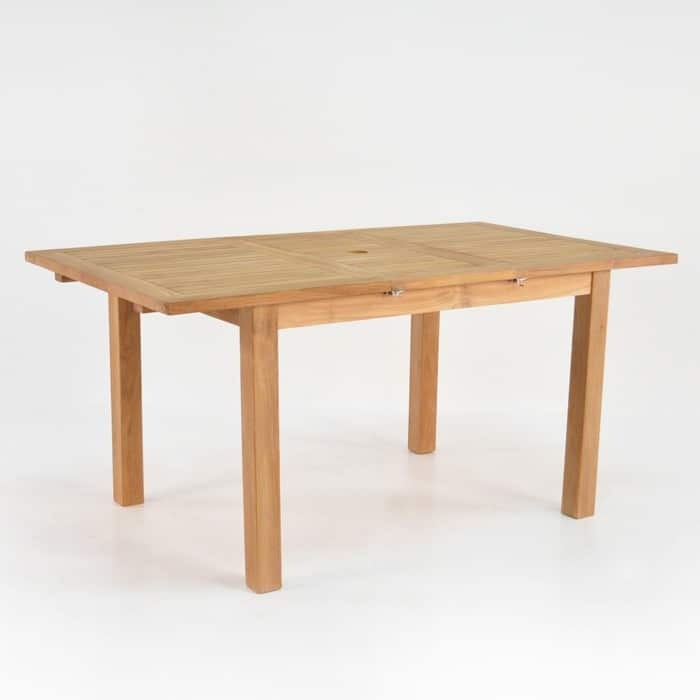 This extension dining set is made mostly out of Grade A Teak, along with marine grade fittings such as #316 Stainless Steel and Epoxy glues, guaranteeing a long lasting set of furniture you will love for years to come! We source our wood from plantations in Indonesia, where quality control is key and the product is sustainable. 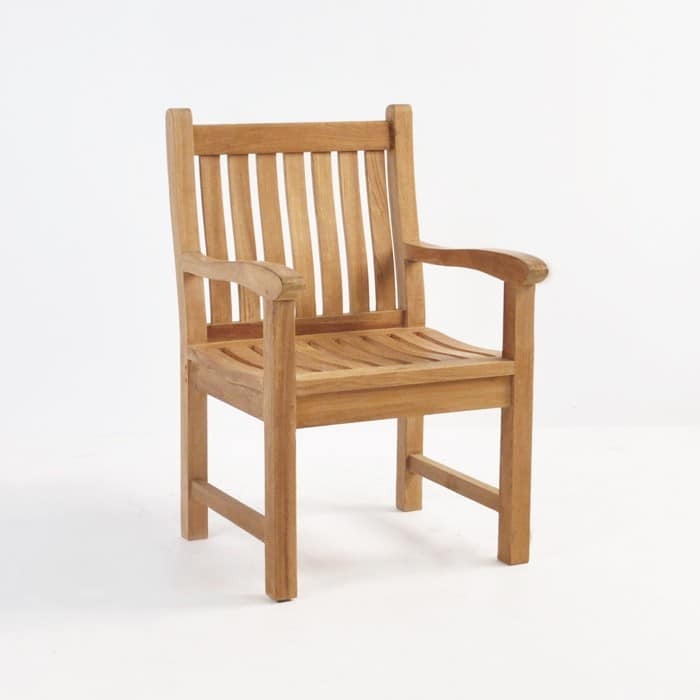 We are very proud to carry Grade A Teak with its abundance of organically produced oil as well as rubber content. We love this wood when it ages, and patinas to a pretty silvery hue, as it still remains slightly shiny and smooth. 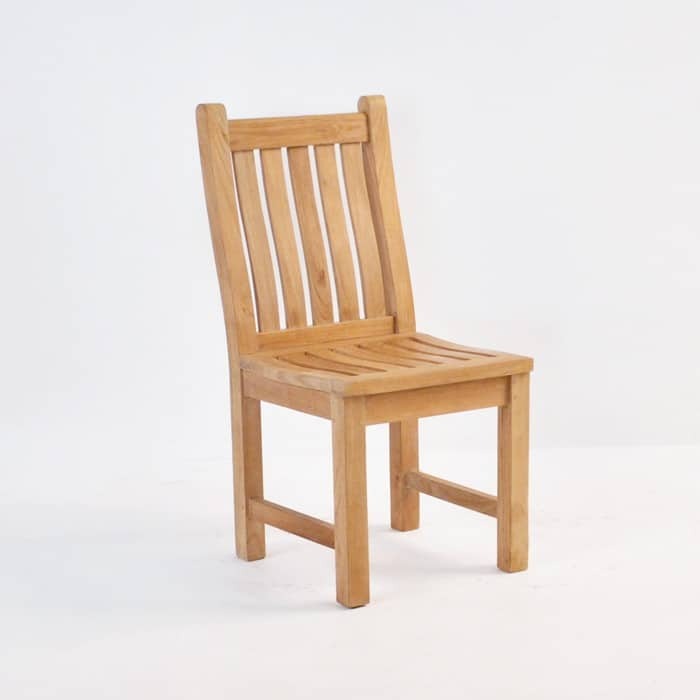 If you’re not sure about it, why not let it age gracefully and if you prefer the honey look we are happy to inform you that one of the benefits of Grade A Teak is that the warmer tone will stay beneath the surface, so all you have to do is sand it back and seal or oil it! 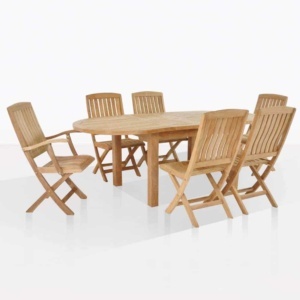 The Capri Outdoor Extension Table Set showcases the beauty of the Grade A teak splendidly, with the chunky frame and slat detailing on each piece. What’s not to love? !Try this dynamic setting in the middle of your backyard; the perfect centrepiece for hosting wonderful dinner parties, long lunches and more! If you love the table or the chairs but want to contemporize the look, try swapping out one of the items. 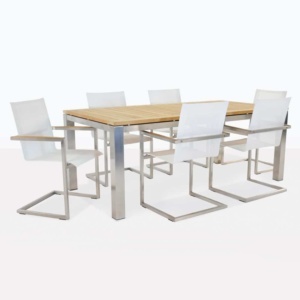 Sub in some Batyline® and Stainless Steel Chairs for an infinitely more modern look, or place a teak bench on one side to give you more options for hosting friends and family. It’s especially useful if there are kids involved! At Design Warehouse, we can help you work all this out. If you tell us your space, what look you’re dreaming of, what your limitations are, we can put together a package that we guarantee will beat any of our competitors. We have been in business for over 20 years and we are still growing! We ship nationwide and internationally, so if you’re home needs updating or you have a new commercial property, call us today! 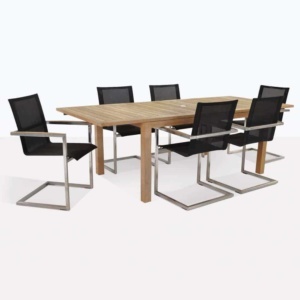 The Capri Outdoor Extension Table Set is a regular feature at Design Warehouse. Order yours now!